Both inside and outside of comics, female superheroes don’t get a lot of attention. There are a lot of them, sure, but their numbers pale in comparison to male superheroes. They’re usually in team books, or are derivatives of established male heroes. Even Wonder Woman, the most famous female superhero, gets lost in the shuffle. Yeah, she stars in one book a month, but Batman stars in TEN. So it’s extremely refreshing to see two brand new superheroines co-starring in Kelly Thompson’s debut novel, The Girl Who Would Be King. You probably know Kelly Thompson from somewhere on the internet. She writes for several sites, including the always insightful “She Has No Head!” column at Comic Book Resources, and this book was the result of a wildly successful Kickstarter campaign last year. Thompson spends a lot of time talking about other people’s female superheroes, which seems to have prepared her well for creating her own. The Girl Who Would Be King is about two young women linked through their special abilities. Both orphans (one by accident and one by choice) with the same superpowers, the nature of their power shapes them each in different ways. Bonnie Braverman is stalwart and good, an agent of order, while Lola LeFever is troubled and evil, an agent of chaos. They are two sides of the same coin, and things quickly get out of hand when their paths cross. I don’t want to spoil anything so I’ll spare you the details, but the book is absolutely bonkers. The Girl Who Would Be King is a young adult novel, but a REALLY dark one with some crazy turns. Thompson doesn’t hold back at all in depicting how super-strong, super-fast, near invulnerable beings could easily wreak havoc in the real world. The collateral damage is high, both materially and emotionally. Nothing and no one is safe, and Thompson keeps you perpetually on your toes. The story never goes where you think it’s going to; it’s always darker and more exciting than you’d expect. Underneath all of the epic spectacle, though, is the story of two young women grappling with their destinies and trying to find where they fit in the world. Their powers, and the impulses that come with them, dictate their lives to a certain extent, and make it impossible to lead a normal life. But at the same time, their powers don’t render them powerless to destiny. Both Bonnie and Lola have to decide what to do with the cards they’ve been dealt, and that’s what really drives the story. The book ends with an epilogue that is both unexpected and then, in retrospect, the only way it could end. Plus it sets up the next book, The God Killer, which is hopefully coming soon. Thompson has created interesting characters with a cool mythology, and I’m excited to see where it’s going next. 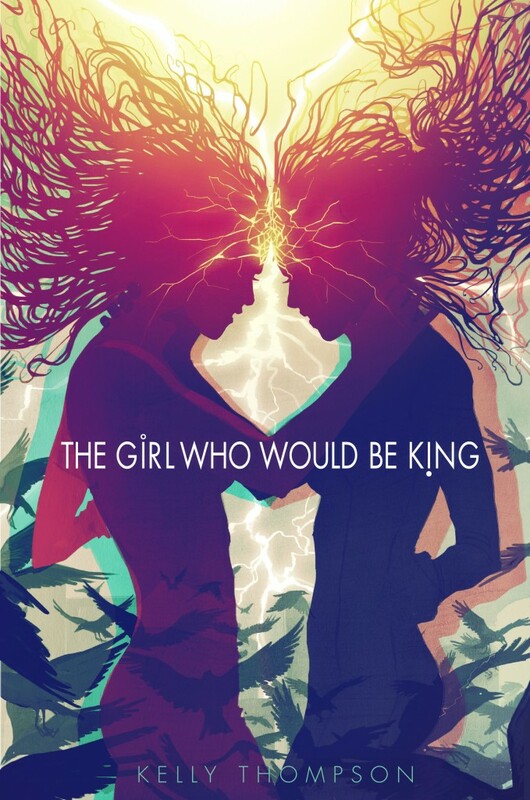 So if you’re looking for a new take on female superheroes, you should definitely pick up The Girl Who Would Be King. You can get a very classy hardcover edition, or get a paperback or e-book at Amazon. This entry was posted on March 1, 2013 at 3:01 pm and is filed under Books. You can follow any responses to this entry through the RSS 2.0 feed. You can leave a response, or trackback from your own site. Yeah, it’s a good read. Let me know what you think! Nope, it’s a prose novel.